WHO’S GOT GAME? 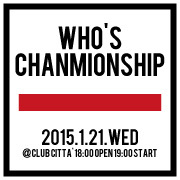 CHAMPIONSHIP 出場! !